If you are a keyboard player and have been playing for some time, you might not need any introduction to the best keyboard amps. Just in case you’re new and learning the tips here is a little overview. What is a keyboard amp? What are keyboard amps used for? 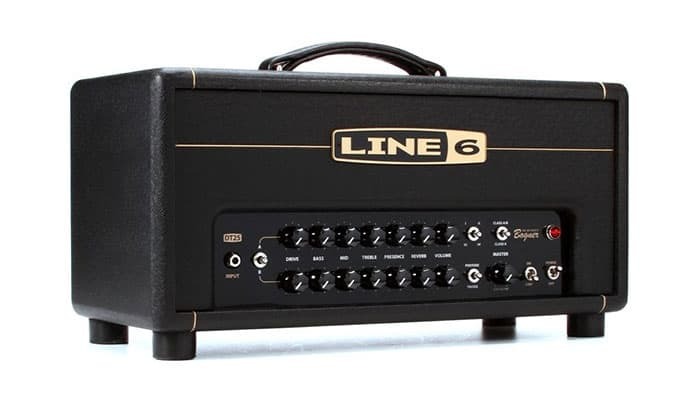 What is the average budget for a keyboard amp? How do I choose a keyboard amp? 12-inches woofer, 1-inch tweeter, and 90w of power deliver a whole new experience. Onboard 24-bit digital FX processor with 100 presets. 15 inches speaker and a horn tweeter powered by 180-watts. Stereo Link feature for connecting two KC sound magnifier. Built-in auxiliary and microphone port. Tune great sound with 3-band EQ. Aux input allows you to play sound through external sources. Virtual Tube Circuitry (VTC) adds up a warm tube like effect to your output. Packing the goods of Keyboard sound magnifier and PA System in one package Ultratone K900Fx by Behringer grabs the attention of many consumers. 3 separate channel and 90W of power make this amp a great deal to conquer. 3 channels mean that you can connect up to three different instruments and get separate controls for volume and fx send. Furthermore, for kick starting a karaoke competition you can easily plug in a microphone through an XLR port on channel 1. Ultratone K900fx is ready to accompany up to three different instruments, but are you grown enough to handle such potential? An amp is useless without powerful speakers. Well, say thanks to the professional grade 12 inches BUGERA woofer which is connected by a 1-inch twitter. These speakers are crowned as the best by the most popular guitars and keyboard players. No one likes the feedback factor but buying a whole new feedback elimination processor is not an option. Ultratone K900fx is equipped with a Feedback Detection System that automatically clears the feedback so you can concentrate on the performance. Here is a little more to the review. + 12-inches woofer, 1-inch tweeter, and 90w of power deliver a whole new experience. + Integrated 5-Band graphic EQ. Why We Liked It - Ultratone K900fx steps up the art of keyboard sound magnifier on a new level. With 3 years of warranty, Feedback protection system and 3 channels you can create something exceptional. Are you looking for something professional? 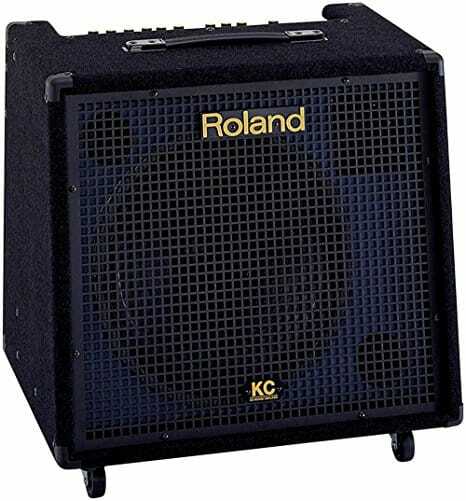 If yes, than KC-550 by Roland might catch your vision. 15-inches speaker, a horn tweeter and 180 watts of helps this box to output a sound that will surely be remembered. Basically, this sound magnifier was engineered while keeping in mind the fact that professionals need to connect many instruments at once. That is why you get 4 channels so you can connect up to 4 instruments at the same time with separate onboard controls. No! It is not just a megaphone but a partial PA System too. With an auxiliary and microphone port, you can connect different sound sources for playing them through this box. Thought of connecting two amplifiers? Well, KC-550 by Roland allows you to connect two KC sound magnifier for a true stereo experience. Oh yeah, the feature is titled as Roland’s Stereo Link and guess what? Just a single cable allows you to do wonders! Apart from high-end features, KC-550 is built to handle torture. Along with a rugged design and heavy-carpeting, this box features a built-in handle for making transportation easy for everyone! Here are some major highlights of the review. + 15 inches speaker and a horn tweeter powered by 180-watts. + Stereo Link feature for connecting two KC sound magnifier. + Built-in auxiliary and microphone port. Why We Liked It - Roland KC-550 packs up all professionality you need to innovate something outrageous. With a sturdy design, up to 4 channels for connecting 4 instruments and stereo link capabilities, this sound magnifier tops every musician’s wish chart. Users who are just getting started in this game would definitely find Ultratone KT108 very appealing. 2 channels, 15 watt and 8 inches coup up with each other to output a mind-blowing experience. 2 instruments input, VTC technology, 8-inches BUGERA speakers and 15-watts of power allows this sound magnifier to bear with your performance for outputting a big sound. You’ll love the decision of counting on Ultratone KT108 by Behringer. The customer always seeks a warranty extension as electronics can go, rogue, any second. Behringer provides you with a 3 years warranty so you are backed up by the professionals themselves. Here is a little more about the review. Why We Liked It - In such affordable range, you won’t get a more likable deal. With VTC technology, two separate channels, and aux port, this sound magnifier is capable of loads. Let us first introduce you to the trademark itself. Peavy is ranked amongst the largest manufacturers of musical instruments in the world. From 1965 this iconic company has earned over 180 patents. The KB series by Peavy was meant for providing musician the power and reliability in a one stop shop package. That is not it, they are just a compact yet a complete sound solution for your performances. KB 1 by Peavy has a 20-watts of power that drives 8-inches extended range speakers to output a completely new sound. KB 1 has 2 channels for connecting two instruments at the same. Similarly, two-band EQ per channel allows you to control the output in the best fashion possible. + 20 watts of clean yet powerful sound. + 8-inches of speaker provides an extended range of sound. + Two separate channels with two EQ band per channel. + A headphone out port allows you to practice quietly. 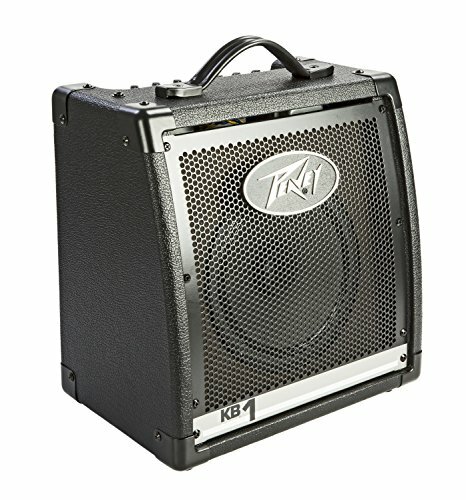 Why We Liked It - Summing up the review; KB 1 by Peavy is the best solution for beginners who are looking for an affordable yet professional amp. With 20 watts of power, headphone port, and two separate channels the beginners are just paired up with the best features. If you want a battery powered keyboard megaphone then Roland has got you covered! This all purpose portable sound speaker is small but mighty in sound measures. From drums to electric guitars this little guy can handle it all! With such capabilities, this sound magnifier is no larger than a briefcase making it a dream product for travelers. Charge this guy up and you are ready to jam anywhere and anytime you like! Apart from this, this box is packed up with two high-performance speakers that output a hell of a sound. Compact size doesn't mean that you get limited! Welcoming all instruments you can connect a microphone, mobile phones, guitars, drums and any instrument you like. From practicing at home or throwing a karaoke competition in parties Roland Mobile Cube battery-powered stereo megaphone has got you covered! + A lot of connectivity options. + Battery powered adds a plus point towards portability. + Central Cancelling feature allows you to eliminate vocals in recorded music. + Built-in stereo effects like chorus and reverb. 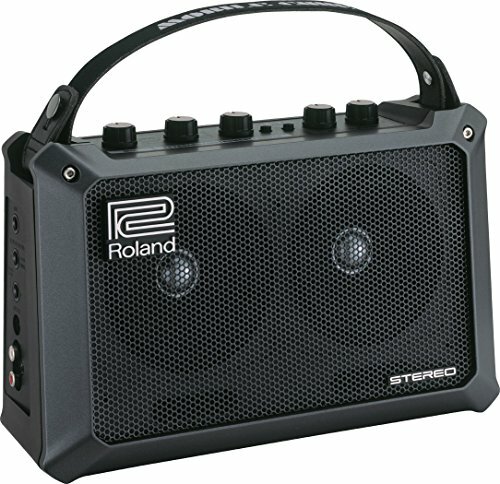 Why We Liked It - Roland Mobile Cube battery powered stereo megaphone defines affordability. With a compact size, a lot of connectivity options and built-in stereo effects this sound magnifier stands out to be the best available on the desk. Are you looking for a special partner that specializes in clean yet powerful sound? Well, in that case, Ultratone K450fx by Behringer matches your need. This 45-watt keyboard megaphone has 3 channels with 10-inches BUGERA speakers. Promising you with the best performances, K450fx gives you a prime time. Ultratone K450fx features 3 channels with separate volume and fx controls for ultra tuning comfort and connectivity. Singing freaks can also hook up a microphone to this sound magnifier through an XLR mic input on channel 1. By connecting three instruments with an additional microphone to channel 1 K450fx allows you to break the boundaries of music. Accurate and full range sound is achieved by 10 inches BUGERA speakers specially made by skilled artisans. From beginners to world-class music directors BUGERA speakers are a center of attention for all. 24-bit onboard digital FX processor gives you the control of adding up to 100 amazing presets to the output. Now buying a separate FX processor is simply foolish. Now you can enjoy the most successful Feedback Elimination processor as it is now built-in the K450fx. This system eliminates the feedback and helps you to concentrate on your performance. + 3 years of warranty which means you are covered by the masters themselves. + 100 presets, thanks to the 24-bit onboard digital FX processor. + Made from high-quality sturdy material that promises ruggedness. Why We Liked It - With exceptional features like Feedback elimination processor, Onboard digital FX Processor and pitch shifter this piece of hardware excel the amp game. Behringer was founded by Uli Behringer in 1989. Basically, this company manufactures audio equipment with the aim of expanding music boundaries to a whole new level. The K900fx features 3-channels that allows you to connect up to three instruments simultaneously. Similarly, an additional XLR mic input on channel 1 lets you connect a microphone for powering up the karaoke game. Master section provides you with separate controls for FX Return, master volume, and phono for tuning the best match. Furthermore, an auxiliary port allows you to connect your mobile phones for streaming music. Similarly, a separate headphone port allows you to connect headphones for practicing privately and quietly. Integrated FBQ (Feedback Detection System) eliminates all feedback factors automatically so you can concentrate on playing music rather than handling those complicated feedback elimination settings. Along with such features, you are covered for 3 years by the company itself. Why We Liked It - With more than 50 years of trust Behringer fulfills all expectations. With 3 channels, powerful 12-inches speakers and 1-inch tweeter K900fx justifies every penny spent on it. Ultratone KXD12 by Behringer is all about premium-ness. High-quality 4 channel powered by 600-watts of power and 12-inches TURBOSOUND speakers this compact package wraps up dozens in itself. The high-resolution sound is delivered by separately powered drivers via a true-bi amping mode with 2 sound magnifier per speaker that outputs a whole new experience. For accurate signal integrity, Behringer has driven each woofer and tweeter with a separate megaphone so you hear the most refined sound. Most keyboard sound magnifier includes Class AB amps but things are now upgraded. Revolutionary Class-D 80 megaphone provides enormous sound within a lightweight package. Speaking more about the technology, Class D sound magnifier offer high efficiency without bulky power specs and heat sinks. Speakers are just not from another branded company as TURBOSOUND is known for building cutting edge speakers for more than 30 years. 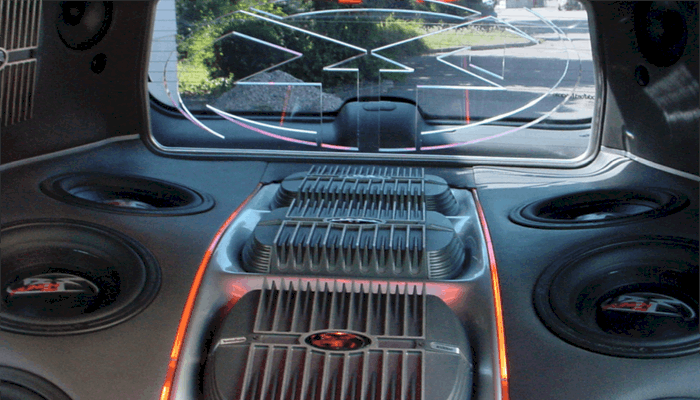 12-inches TURBOSOUND speakers provide you with the sound of your life. KLARK TEKNIK is known for engineering effects. In KXD12, Behringer has featured 100 world-class presets by KLARK TEKNIK so you can add that fine touching to your sound. Catch the pros section of our review below. + Bi-amped 600-watts 4 channel sound magnifier. + 7-Band graphic EQ for utmost control. + Klark Teknik effect processor with 100 presets. Why We Liked It - Ultratone KXD12 has it all to cross the boundaries of music. With class D amplifiers, bi-amplification system and 3 years of warranty this sound magnifier prove to be the most premium option available. People who are looking for a battery-powered and compact keyboard megaphone will be blown away by the capabilities of KC-110 by Roland. KC-110 is a full fledged stereo, pro-quality sound magnifier that runs on batteries, so simply turn on this guy to experience the richness of Roland’s trademark. KC-110 is made to deliver a true stereo sound experience with spatial projection that targets the whole room. The two 15 watts speaker blends to output brilliant stereo chorus with a wide mode. Similarly, the stereo reverb adds a perfect tune to your instruments or vocals. This amp is built to entertain versatile connectivity options. Three-channels with separate volume controls allow you to connect up to three instruments simultaneously. Furthermore, on channel 1 users get XLR input and on others, they get stereo line inputs. It wouldn’t be wrong to comment that Roland KC-110 packs greatness in a compact box for every user. + Aux port for connecting CD/MP3 player. +World’s first AA battery powered sound magnifier. + Two 6.5 inches speakers and two tweeters. + High-quality stereo digital effects built-in. Why We Liked It - Summing the review up we would say that with onboard effects, built-in tilt back stands and three independent channels this keyboard megaphone stands out to be one of its kind. From live performances to extreme practice sessions KC-350 the all rounder performer combines power and value for medium sized gigs. Featuring a 120-watts of power with convenient 3-band EQ and shape switch feature KC-350 is the best partner for all types of user. In KC-350 you get up to 4 channel mixing so connecting various instruments simultaneously is not a problem anymore. Similarly, you also get a microphone input for connecting any mike anywhere to start a singing competition right away. Likewise, a built-in auxiliary port allows you to connect CD/Mp3 players for streaming your favorite music. Stereo Link capabilities let you connect two amplifiers using a single cable for a true stereo experience. So do any of your favorite brands offers such capabilities? KC-350 truly defines the title of all rounder performer! Here is a little more on the review. + Stereo Link In/Out for connecting KC amplifiers to provide a stereo experience. + 4-channels for connecting up to 4 instruments. + 3-Band EQ for utmost control flexibility. Why We Liked It - With stereo link capabilities, 4 channels and sturdy design KC-350 by Roland doesn't compromise where it matters the most. Mixing the elements of affordability and best in class refers to our product listed below the title of Top Pick. With the motto of “We Hear You” Behringer was founded in 1989 by Uli Behringer. This kid learned to play piano at the age of four and who would have thought that this boy will excel in the music industry. From mixers to loudspeakers Behringer manufacture it all with the aim of innovating. At Behringer, every single member has a dream to provide audio equipment that breaks the bar of limitations. At your price comfort, Behringer Ultratone K900FX hits the sweet spot. This sound magnifier is all about providing you with a redefined experience in small venues. K900FX is built to be tough. Reinforced corners and a metal grill makes sure that it can take bumps and humps without any problem. Even after years of use, the customers were blown away by the durability and longevity of this rock solid piano Amp. Similarly, carrying this guy is not an issue as it weighs only 19kg! K900FX is not just a sound magnifier but a full fledge PA System too. With 90-watts of power, it’s able to blow up a versatile keyboard and drum megaphone. Similarly, a high-quality 3 channel PA System with world-class 12-inch speakers makes sure that parties are covered by a beast all-in-one solution. With power, you get a rich and accurate output that promises a mesmerizing experience. Features like studio-grade Multi FX Processor and FBQ detection system makes sure that your performance is worth waiting. Talking about the heart of a sound magnifier, you get 3 separate stereo channels each with independent volume and FX controls. 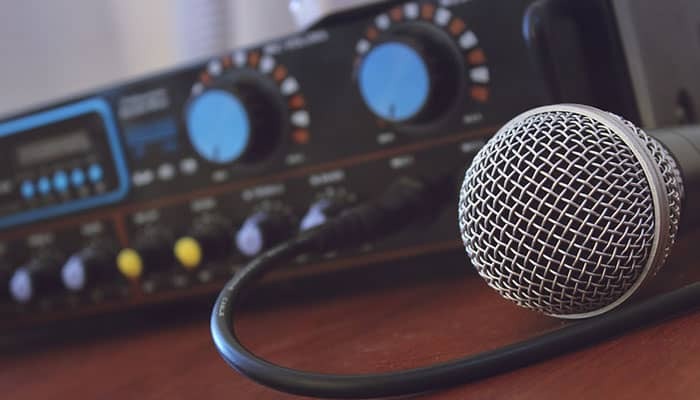 Likewise, you get one XLR microphone input in channel one for directly connecting a microphone. Similarly, the master section provides separate controls for FX Return, Phones and Master Volume. K900FX has got it all to handle multiple instruments at once, so are you ready? On the connectivity side, this K900FX is loaded with every essential input. An AUX input port allows you to connect your mobile devices for streaming music through 12-inch powerful speakers. Separate headphone jack allows you to practice privately and more efficiently. Addressing more towards the 12-inch speaker, this powerful BUGERA woofer has a custom made a 1.0-inch high-frequency driver that delivers awesome sound at its peak. Don’t underestimate the power of this speaker. Now adding effects to your performance is no brainer, thanks to the onboard 24-bit digital FX processor. The processor is loaded with 100 effects like reverb, chorus, delay etc. to pump up your performance game a little bit higher. Feedback factor destroys the whole tempo of performance. For more than 10 years Behringer has designed the most successful FBQ Feedback Elimination processors. Now with K900FX, you can enjoy the same technology. The FBQ Feedback Elimination processor integrated into this Amp completely eliminates all the feedback from your performance so you can concentrate what matters the most. With 3 years of warranty program, FBQ technology and 100 amazing preset the K900FX by Behringer tends out to be the most genuine contender of this category. Out of the 10 reviews above, we have identified one item as our premium choice. Read on for more details. Our premium category only makes sure of one thing that the product should deliver more than what’s expected. 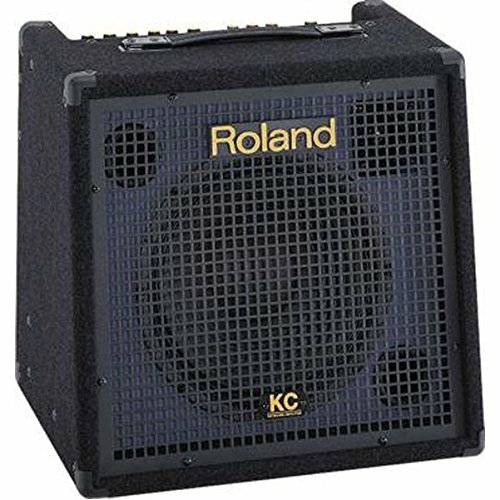 Roland Corporation is the leading manufacturer of audio equipment. With 40 years of trust and experience, Roland sets high standards for the music industry to achieve what is marked as impossible. With fresh ideas and the aim of exploring new boundaries, Roland creates instruments that touch every soul. By expanding the possibilities of music this company has unlocked a new world of inspiration and joy. 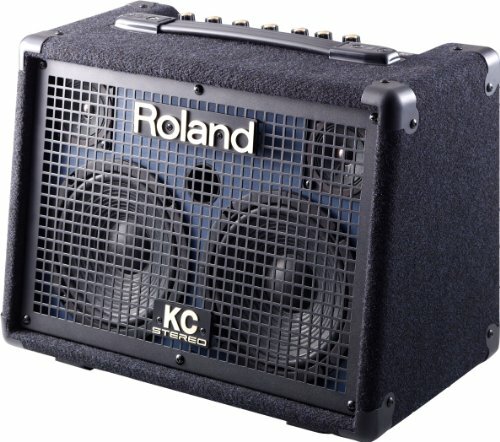 People who are into Keyboard amps know what KC-550 by Ronald is capable of. No doubt, KC-550 is the most demanded amp out there. It is a bombshell of clarity, detail, and crispness. The one who aims to do don’t go far beyond the KC-500! KC-550 is built keeping in mind the hard working musicians. This model features up to four stereo inputs along with a microphone input. Similarly, users also get an Auxiliary port for connecting CD players or mobile phones. 4-stereo input ports mean that you can connect up to 4 instruments at a time and get separate controls for them. Have you ever heard of connecting two amplifiers with each other? Well with Roland’s KC-550 you get to experience this phenomenon. Stereo link feature allows you to connect two amplifiers in a chain. Using a single cable you can connect two KC-500 for a true stereo experience. For grabbing every tie of your tone this Amp features a 3-Band EQ that lets you control low, middle and high frequencies. A piece of cake, isn’t it? 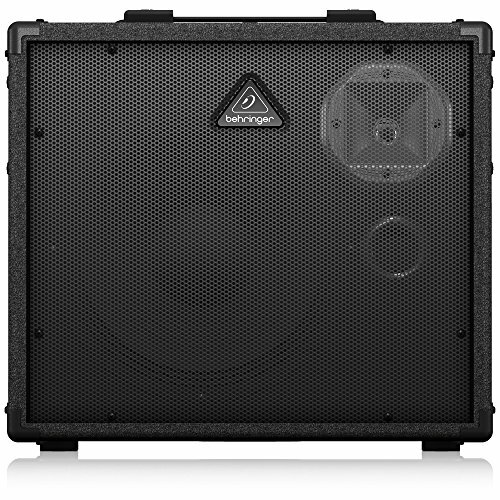 180 watts of power, 15-inch woofer and 2-inch horn packed into one case output a monstrous sound. People just don’t use it as a typical electric Keyboard Amp but more like a powerful PA System. We heard that you wanted that extra bass, right? Well, in that case, KC-550 by Roland has got you covered! You can easily add a subwoofer to your fingerboard amp by the subwoofer output port. With some extraordinary features, KC-550 has also got that protection to cover up all goods. This Amp is built for rugged use. Heavy carpeting, protective edges and all-metal grille gives this keyboard amp the boost for surviving all types of torture. Apart from the likes of protection aids, KC-550 is also equipped with a handle and caster so you can carry it around all around the globe. Out of our reviews above, we have identified this item that offers great value. Beginners are often interested in our great value product as it packs up the essentials with fine quality under an affordable price group. 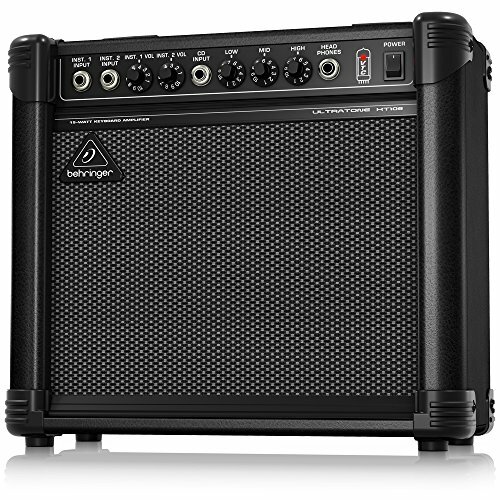 Ultratone KT108 by Behringer is no doubt the best value for money amp currently available in the market. Don’t take this guy as a replacement for the two products reviewed above as it meant for beginners. 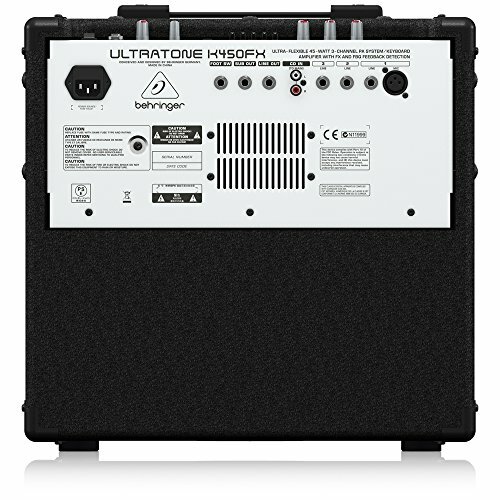 If you are looking forward to a keyboard amp for practicing at your home then it would be hard to pick any other product else than Ultratone KT108 by Behringer. 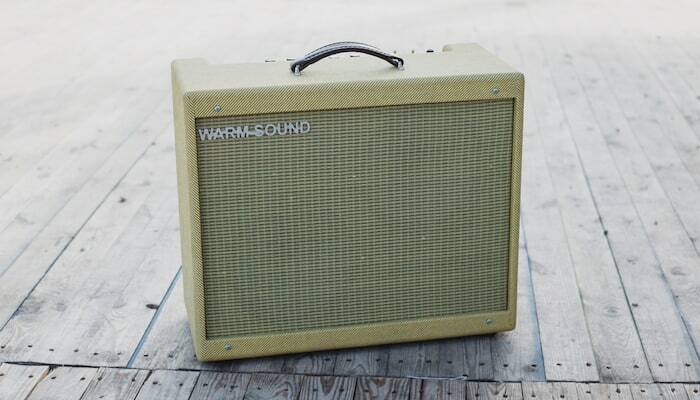 Packing the basics with quality and price comfort no other keyboard amp highlight such capabilities. 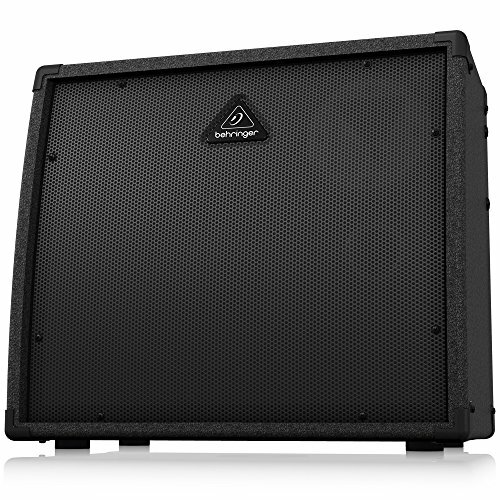 This super compact yet feature-full amp fits the need of a small band. Keyboardist looking for great, classic tube-like sounds in a 2 channel way won’t find any other alternative competing with the Ultratone KT108. Thanking the potential of ever green Virtual Tube Circuitry, it emulates the preamp and power amp stages of those classic rig tubes providing a true tube-like sound. Separate 3 band onboard controls helps you to tune highs, mids, and lows for cultivating the best output possible. The 8 inch 20-watts BUGERA speakers are enriched with bass and distortion-less sound so you are able to create something priceless. KT108 is equipped with an auxiliary port to connect your mobiles or mp3 player so you use those powerful speakers for streaming your favorite music. Similarly, you get a headphone port for private sessions. Speaking more about the secret weapon, VTC allows you to tune into an aggressive sound with the perfect touch of grind. With 15-watts of power and such features, this keyboard amp will surely elevate your performance to a whole new level. Mastering the art of more in less refers to the Ultratone KT108 by Behringer. With VTC technology, 3 EQ band and an auxiliary port for connecting mobile devices this piano amp gives you all that is needed to innovate. Diving deep inside into the debate of buying your new keyboard sound magnifier is not worth it until and unless you have a full idea of what you are going to get. Reviews above will help you know more about the products but this buying guide will select the best one out of those. This buying guide is an extension to the above reviews. Scrolling Amazon’s Top Keyboard Amp page or considering your so called music fanatic friend isn’t the right way to look for a sound magnifier according to your personal needs. To get the best sound magnifier for your personal use one should first get a crunch of knowledge so he/she could differentiate among the versatile options available. In this write-up, we’ll help you to pick the best keyboard amp by introducing you with its features, in-depth reviews and much more. Packed up with a pre-amp, megaphone, horn, and speaker in one box a sound magnifier is used to amplify electronic keyboard instruments. No! It doesn't only connect keyboards but other instruments as well. The title of “keyboard” is glued with this equipment because of its capability for providing the sonic range. As discussed during the reviews, the sonic range covers deep bass response, drums, high-pitched piccolos, pianos and much more. A keyboard megaphone backs up all the good for reproducing the sonic range of every equipment accurately. So that is why it’s called as a keyboard amplifier. So you must be thinking that what differs other amplification systems from a keyboard megaphone, right? Basically, a keyboard megaphone is engineered to sound big on stage, specifically providing low-frequency sound output for the deep baselines. Moreover, these amps can play crips high-frequency sound for high notes. Similarly, these amps promise low distortion and flat frequency. Now let's move on towards the connectivity side of an amplifier. We have already explained briefly the connectivity part in the reviews above now is the time for little explanation. Guitar or microphone sound magnifier are meant for holding up one guitar/microphone at a time while the case is totally opposite with a keyboard amplifier. A keyboard megaphone is equipped with a mixer that has two to three inputs for connecting multiple instruments and every channel has its own preamp to turn up the signals. On the whole, there are two types of fingerboard megaphone that we’ll look at in somewhat detail. Most low categorized fingerboard amplifiers are meant to provide equalization controls for the overall output like adding bass, deducting treble etc. State of the art amps are high powered and they provide separate equalization controls for each channel. Speaking about the design, a typical sound magnifier features three or four channel mixer so that user could plug in different instruments like piano, electric guitar etc. into one amplifier. Following up different types of equipment in one amplifier allows a user to control level and tone of connected instruments on a single board. As we didn't discuss the design in our top ten reviews, here is a little more about it. A fingerboard sound magnifier is a perfect match for genres like the progressive rock as it needs separate controls for electric pianos, several synthesizers etc. Why not use a keyboard amp as an alternative to the PA System? Well in some cases you might win the toss. Taking back the question to 2010, many users merged the functionality of PA Systems and Keyboard Amps as one. 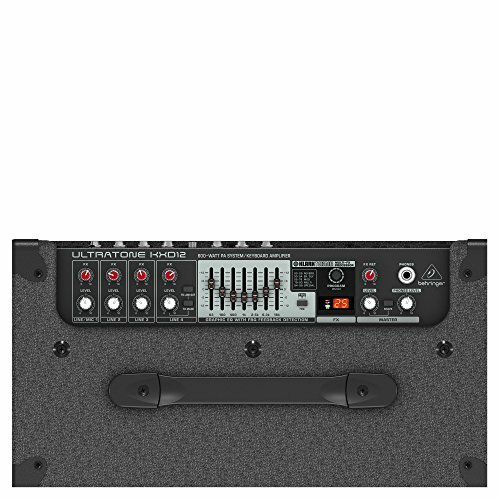 Some fingerboard amplifiers out there have an XLR cable input for microphone and a microphone preamp that allows a user to connect a microphone and use the keyboard sound magnifier as a PA System. So in theory, a keyboard amp that includes an XLR mic input, preamp, and a multi-channel mixer could be used to pump up a small venue. Using a fingerboard sound magnifier as a PA System is ok in some cases but you might get limited in some scenarios. Firstly, it is not an easy task to raise up the Keyboard Amp’s speaker like a PA System. PA System comes with a speaker stand and pole into which you can easily mount the speakers. A Keyboard sound magnifier is not backed up with such advantages. Secondly, Elevating the PA System helps to ensure that the output is dispersed equally among the audience while the case is totally different with Keyboard Amps. Placing a fingerboard sound magnifier on the table or raising it a little will only allow the first column of an audience to listen while the whole venue will remain censored. Next, PA Systems are rated high on power while digital piano Amps are usually ranging below 50 watts. Using a piano sound magnifier as an alternative to PA System is ok but note that you won’t get the desired results. To make our reviews comprehensive enough, we have also tried to explain how it can be connected to different instruments. Read on, as you won't find this info on other reviews. Many Amps have a sub out jack that allows users to connect an external powered subwoofer for adding extra bass. Note that subwoofers only provide deep bass frequencies so a user should add full range speakers for keeping up with the extra bass connected. From tip to toe we illustrated you everything related to a piano sound magnifier in our reviews and then the buying guide. 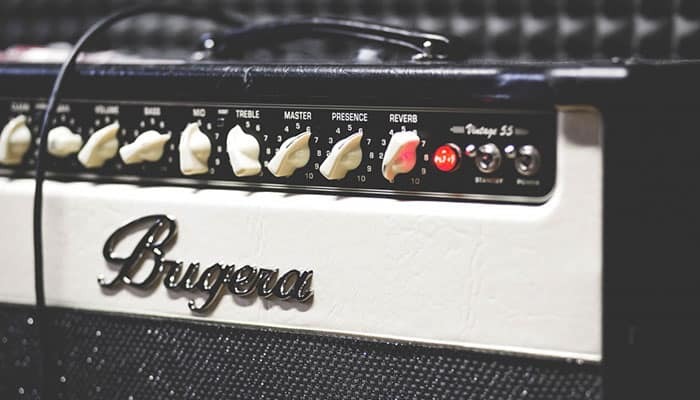 By going thoroughly through this article you’ll be able to pick the best Keyboard Amp according to your personal needs. But hey? Do you want to know what’s recommended by the majority? Keep up with us as we have got something special for you in our reviews. By asking the experts and judging many customer reviews we have come up to three fingerboard amps for three different categories so that everyone feels like home. Here is our top pick from the reviews above. For Dummies, a keyboard amp has a powered amp and speaker built into one package that amplifies the electronic keyboard instruments. Don’t get carried away by the title keyboard amp as they are not only for keyboards. So you might be thinking that why they are called keyboard amp, right? The word keyboard refers to the amplifier’s sonic range. Furthermore, keyboards have numerous amount of sounds that align with the sonic spectrum. So a megaphone fitted inside the keyboard amp can handle the entire spectrum of sound like a typical keyboard through a variety of instruments connected. 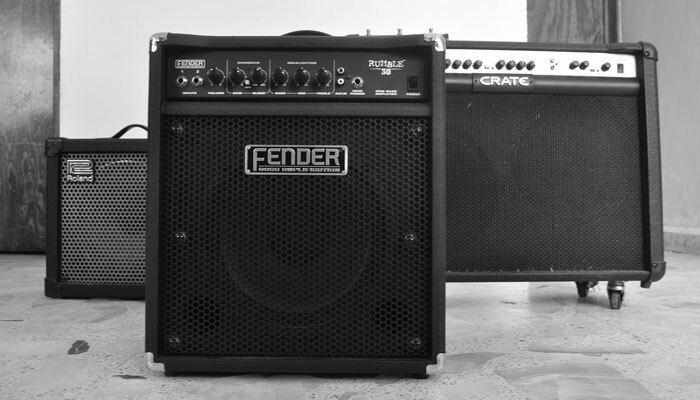 On the whole, keyboard amps make an instrument sound larger on stage and provide solid low-frequency reproduction. Keyboard amps are basically used for reproducing the broader frequency range accurately of electronic instruments. 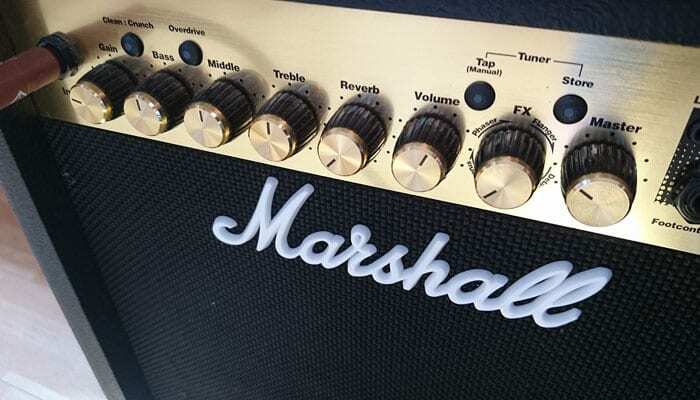 So what differs a guitar amp from keyboard amp? Basically, a guitar amp is only meant for amplifying the signals within the range of guitar while keyboard amps provide a broader stage for frequencies(as keyboard signals are way high and deep then guitars) which is completely out of the guitar amp’s range. 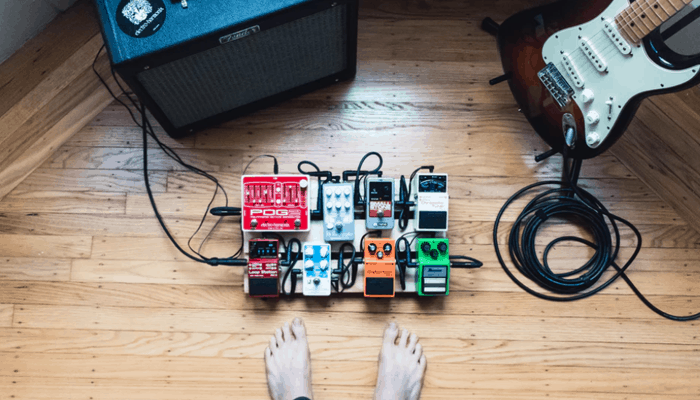 Many fingerboard amps include the functionality of connecting drums, acoustic guitars and many other instruments so that your performance get a chunk of broader frequencies. On the other side of the story, many keyboard amps are also used as an alternative for a PA System. Some high-end keyboard amps with powerful speakers that include AUX and microphone inputs can easily take on the party next door. But limitations are there to keep you stay on the purpose for what you have bought a keyboard amp. Keyboard amps are heavy, it is hard to carry and accompany them. Similarly, PA Systems get easily hooked up to the mounting stand while you can’t really elevate a keyboard amp above a typical chair height. Although many consumers use a piano amp as an alternative to the PA System, it is not actually meant for public addressing. So bottom line states that a keyboard amp amplifies the signals of electronic instruments into a broader stage of the sonic spectrum. The average budget for every product is the middle range of the price group. The Same scenario applies to a fingerboard amp. Getting your hands on a cheap keyboard amp will not affect your balance but somehow you’ll experience the odds in the near future. Although cheap fingerboard amps include all features, the quality of hardware used is pretty bizarre. Looking for the most premium keyboard amp will surely help you to touch the skies of greatness but burdening yourself with a high-tech gadget isn’t a fair choice. The average budget will get you the finest keyboard amp without burdening your shoulders with a load of cash. 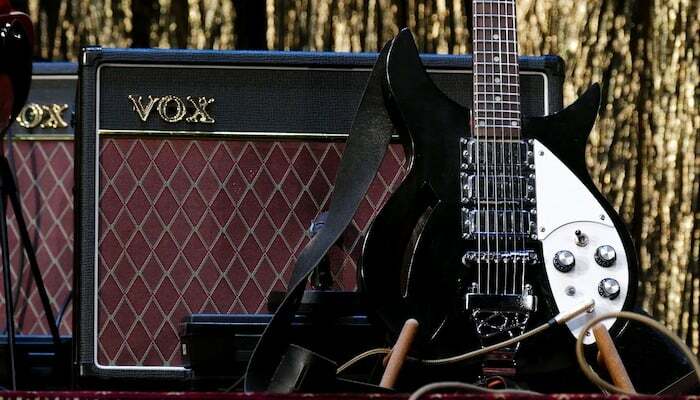 By reading this guide you now have complete knowledge of fingerboard amps but still, some measures have to be taken for choosing a fingerboard amp according to your personal need. Follow the recipe below to make Noble's choice. While most of the keyboard amps are built to face tortures you must check the customer reviews section for neutral feedback. Customers report that some keyboard amp marked as rock solid doesn't quite justify the sturdiness. So be sure to double check the build quality factor as you are investing those hard earned bills. Similarly, portability is also an important thing to note while picking your new fingerboard amp. Users who travel here and there must look for a keyboard amp with handle for easy transportation and vice-versa. Here, most people recommend that one should look for a highly rated speaker size and power but that’s not how it works. The user should analyze his needs and then look for the speaker size and power according to it. 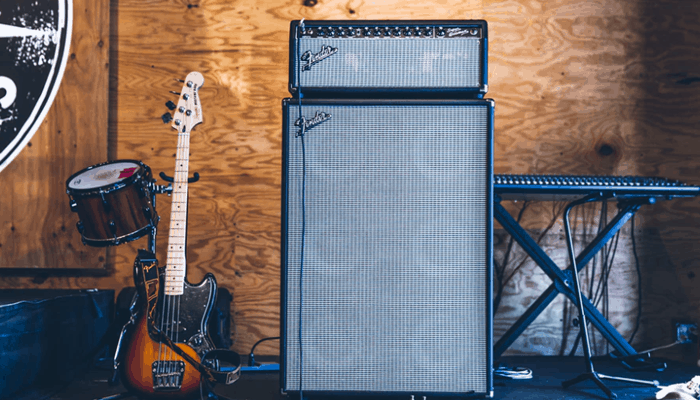 For instance, a beginner doesn't need a 180-watts of power with 15-inch speakers as a 50-watts of power and an 8-inch speaker would be enough for basic practice. So stay dedicated around the circle of your need! Most of the fingerboard amps include more than two channels for connecting multiple instruments at a time and separate controls. Moreover, some also include aux, microphone and headphone ports. If a user wants to connect more than two instruments then he/she should look for an amp with more than two channels. Similarly, if one needs to connect external streaming then he should look for an AUX port in the piano board. So the whole point is keeping your needs of input and outputs in mind while buying a new amp. Keyboard Amps are not meant for providing effects but still, some high-end keyboard amps include effects like chorus, reverb and more. So if you are thinking about giving your vocals with a touch of chorus then you might look for effects in your next fingerboard amp.